The Ovarian Chronicle: Spreading Awareness!!! Hi Cysters! I hope you all have been enjoying PCOS Awareness Month and have been able to spread awareness to those around you. 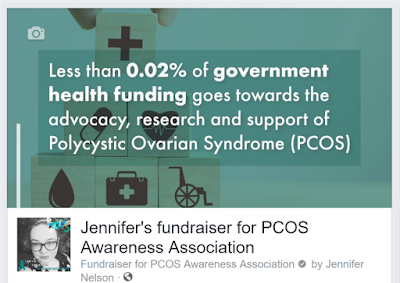 This has been a very special PCOS Awareness Month for me because I was chosen to be a PCOSAA Ambassador! I am so excited to get started spreading information to everyone who needs it. So what does being an ambassador mean? 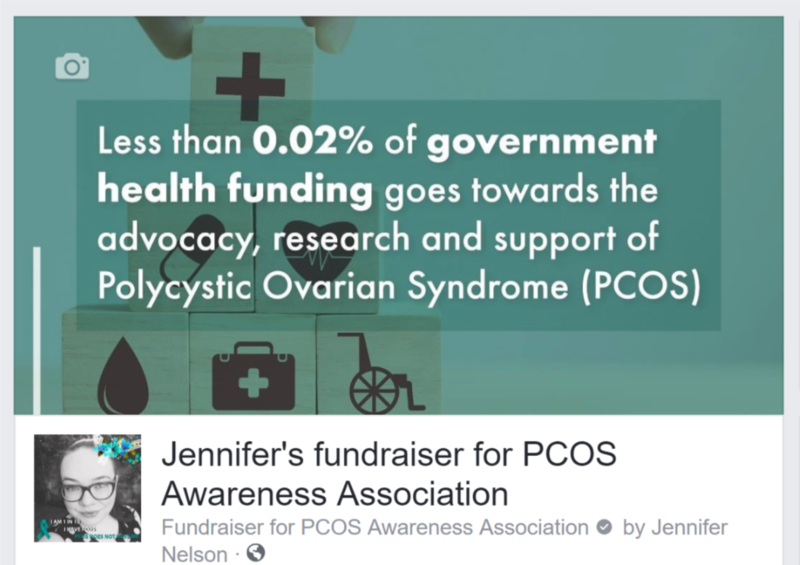 Well it means I get to go to events and talk to people about PCOS and provide them resources to get the proper tests to see if they could have PCOS. But that is only the start! There is so much more I have planned for my time as a PCOSAA ambassador. The first thing I am doing is raising money! This will give me tools to get started spreading information. I never ask for money for my blog, so of course, 100% of the money donated goes to the PCOSAA, specifically in this case for an ambassador kit that includes informational brochures. If you would like to help me get started on my journey to help others click the link below to learn more and donate! Thanks Cysters! Have a wonderful day!